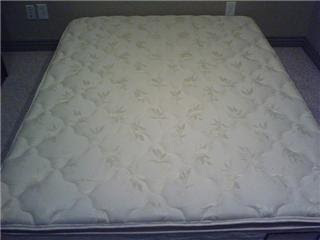 This is the not so good side of the mattress. Who did this? Who forgot their diaper? Yikes....that looks bad...Dad and I were the last ones to sleep there! Oh man....now you all know...funny thing is must of slept side ways! Don't have a clue...or at least would not confess!